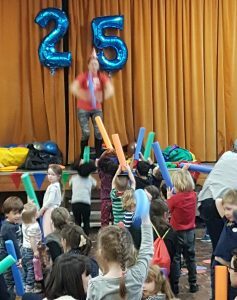 Kathy Hughes and Jacqui Stevenson teamed up to celebrate 25 years of Stretch-n-Grow In the form of two fantastic parties in Sale and Altrincham.Close on 200 children attended the events with not just one but sometimes two parents! Fortunately there was plenty of tea and cakes on hand to replenish the energy levels of the parents having to attend such a demanding event! Kathy’s energy levels certainly needed some replenishment after deciding to do all 25 routines herself! A feat that took her around two and a half hours to complete. Well done Kathy! Kathy centre stage, .mid routine. Feel the energy! 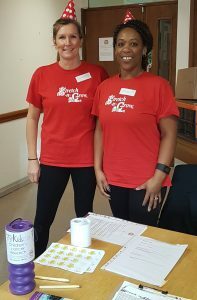 “The atmosphere was superb, there was such a positive buzz, with parents not just watching but joining in all the activities, it was an excellent opportunity for the children to show exactly what they had been learning” said Stretch-n-Grow Director Deno Davie. 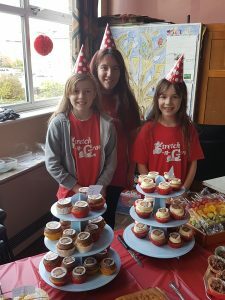 “The feedback from all, but parents in particular, was so positive”. More information on parties will follow.